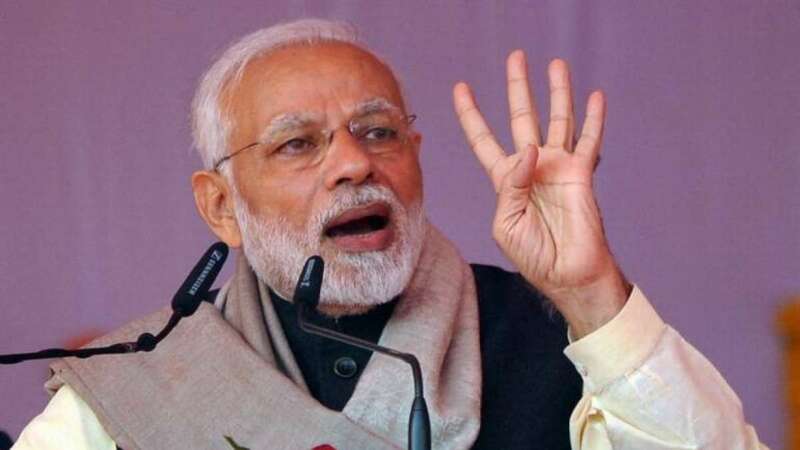 Gandhinagar : Prime Minister Narendra Modi on Saturday said despite all "obstacles" from fundamentalists and Opposition, his government was committed to bringing a law against the practice of triple talaq to ensure social justice for Muslim women. "Despite all the obstacles, despite resistance from the fundamentalists and the Opposition, the government is committed to making a law against triple talaq so that our Muslim women get rid of a big insecurity in their social life," he said addressing the National Convention of BJP's Mahila Morcha. The government had brought the Muslim Women (Protection of Rights on Marriage) Bill last year and got it passed in the Lok Sabha the same day, but it was stonewalled in the Rajya Sabha where the ruling National Democratic Alliance (NDA) lacks majority. The Opposition had expressed serious concerns over making triple talaq a criminal offence. Under the proposed law, a man could be jailed for up to three years for pronouncing an instant divorce (triple talaq) to his wife, which is legitimate under the Hanafi school of Islamic jurisprudence. Subsequently, the government brought an ordinance on the subject in September this year which has to be replaced by law in the current session. Otherwise, it will lapse. Modi said the government had already done away with the condition of a ‘mehram' (a male guardian including husband or first blood relations) to accompany a woman on Haj. Earlier, Muslim women from India could not go on Hajj alone. The government did away with the condition last year and around 1,300 women performed the Haj without a mehram. Speaking at the event, Modi listed a number of schemes that his government has brought for the welfare of women such as Ujjawala and Surakshit Matritva among others. "Women are at the centre of several flagship programmes of this government...for the first time there are two women in the Cabinet Committee on Security (CCS)," he said. Modi asked the Bharatiya Janata Party (BJP) workers present at the conclave to download the Narendra Modi mobile app and asked them to forward the government's various welfare schemes to all their contacts. "When I tell the world leaders that India has allowed 36 months of maternity leave to women, they look away from me. Not even the developed countries have given such a facility to women," the Prime Minister said. He said his government was trying to promote women entrepreneurs through various schemes including the Mudra Yojana under which the major percentage of loans had been disbursed to women entrepreneurs.